Being lifelong residents of Midland my wife Pamela, a teacher with Gladwin Community Schools, and I are well known in the communities in which we work, live, and play. We have one daughter, Katherine, who graduated from Saginaw Valley State University and works for Mclaren Health. As an avid sportsman I love fishing, hunting, and archery and have been actively involved within the outdoor community. 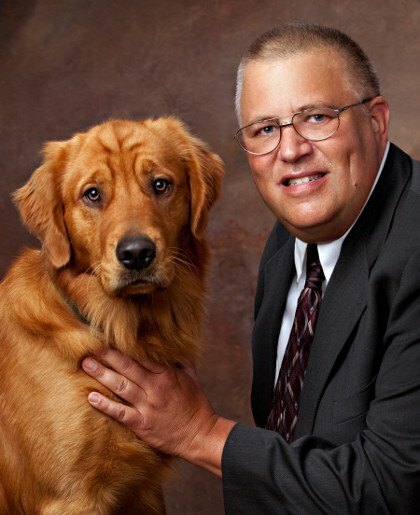 Many of you have seen me spending quality time with my sidekick and best friend Bubba the Golden. With over 25 years of experience as a commercial insurance professional, I strive to meet my customer needs and exceed their expectations.